I wanted to redeem myself after overcooking the beef fillet at the girls’ lunch in June, so I decided to make Beef Wellington for date night. 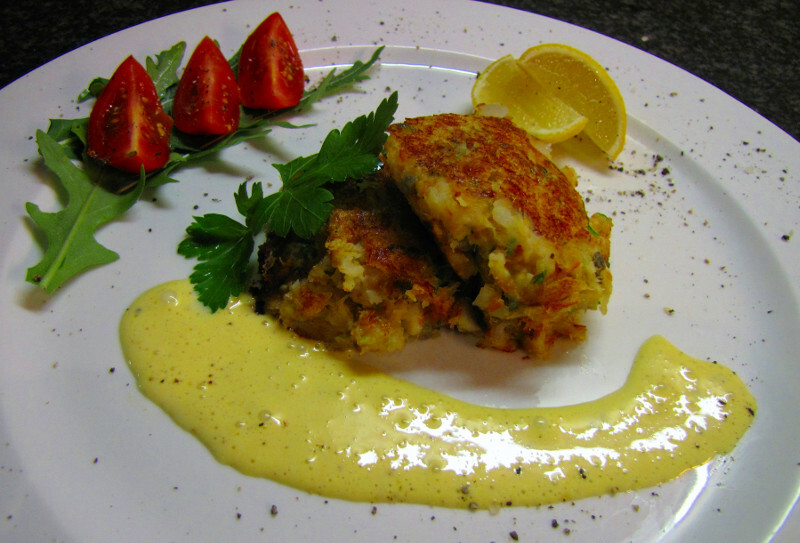 Keeping in line with the English theme, I made Haddock Fish Cakes for a starter and Lemon Posset for dessert. Cook 2 haddock fillets (around 300g) in milk with a bay leaf and 6 peppercorns until opaque. Flake and mix with crushed cooked potatoes (I used 2 potatoes), 100ml finely chopped onion, a handful of chopped parsley and 15ml chopped capers. Form 6 fish cakes and fry in butter or oil. My last attempt at a Hollandaise sauce ended up in scrambled eggs. This time I googled “easy hollandaise sauce” and came across this recipe here that worked perfectly. I amended it slightly by leaving out the Dijon mustard and substituting the pepper sauce with 1/8 teaspoon cayenne pepper. Blend 3 egg yolks, 1Tbsp lemon juice, 1/8 tsp cayenne pepper and 125ml hot melted butter at high speed. Serve immediately. 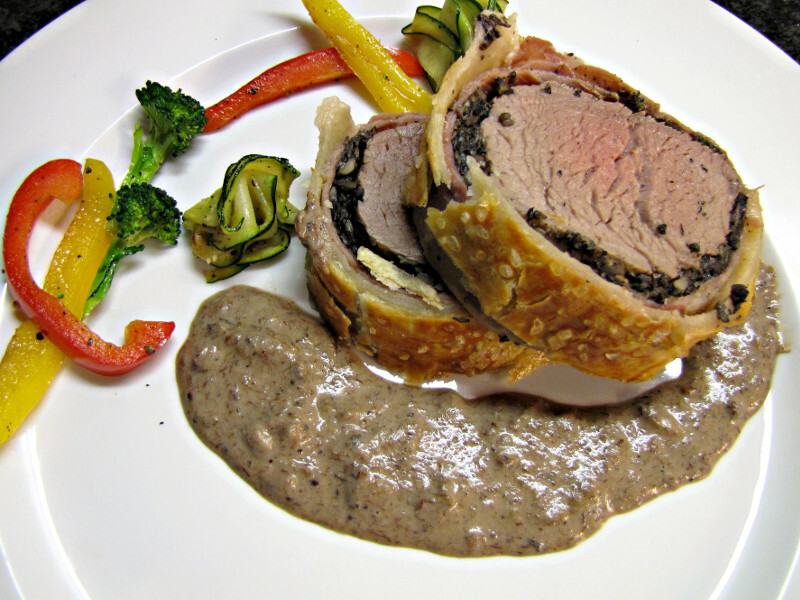 I decided to use Gordon Ramsey’s Beef Wellington recipe (after all – it is one of his signature dishes). See the YouTube video here. Season the fillet with salt and pepper. Sear in a very hot pan. 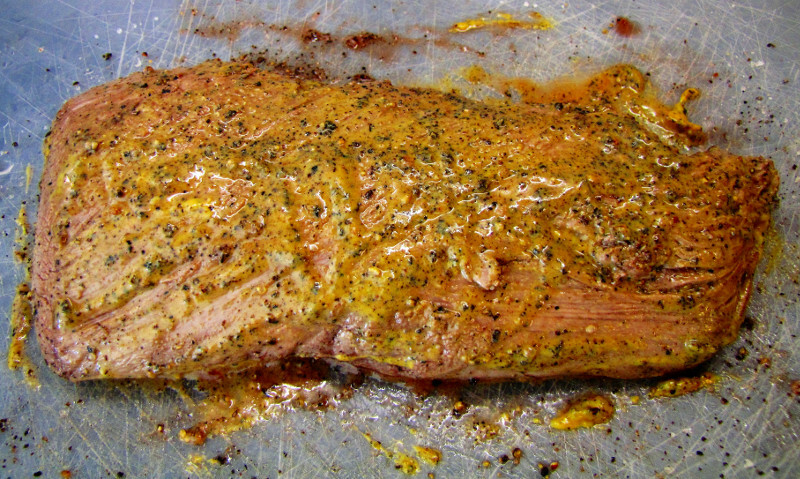 Take the fillet out of the pan and rub it with English mustard. 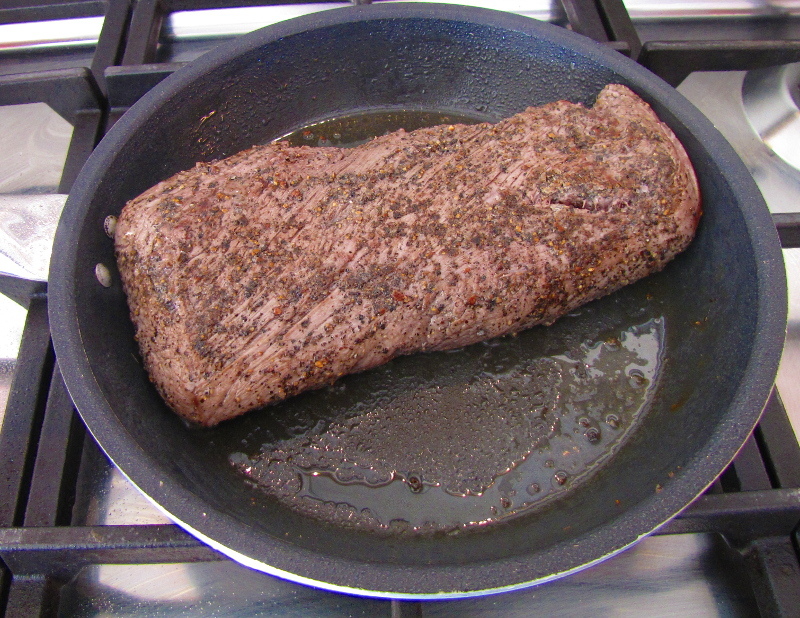 It is important to do this as the fillet comes out of the pan and is still warm. 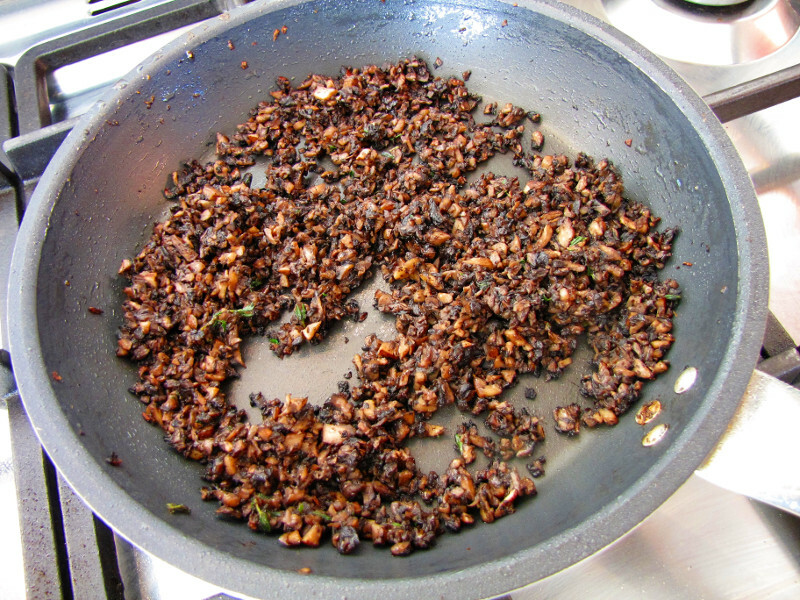 Fry very finely chopped seasoned mushrooms with some thyme sprigs in a pan over high heat until all excess moisture has evaporated. It should look like a paste (called a duxelle). Remove from the pan and leave to cool. Place 8 pieces of parma ham (overlapping to form a square) on a large piece of cellophane. This is to form a barrier between the meat and the pastry to prevent the pastry from becoming soggy. 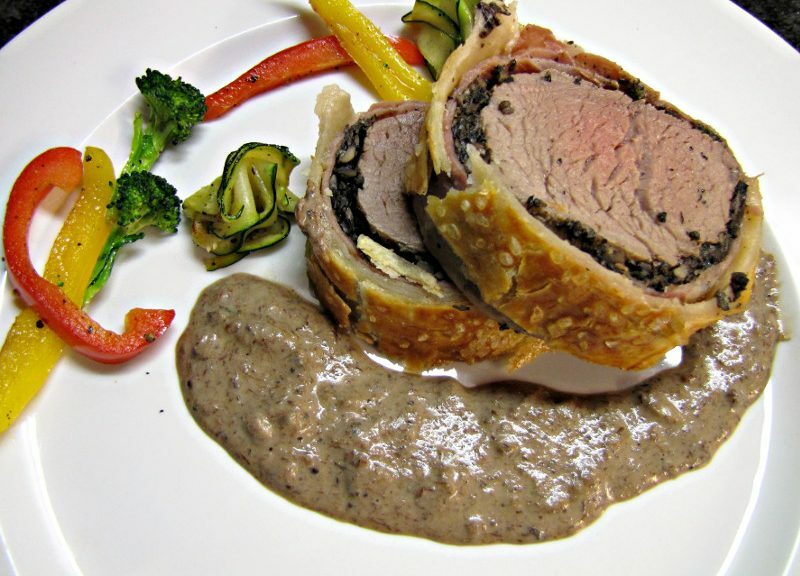 Traditionally they use a crepe but the Parma ham makes for a lighter Beef Wellington. 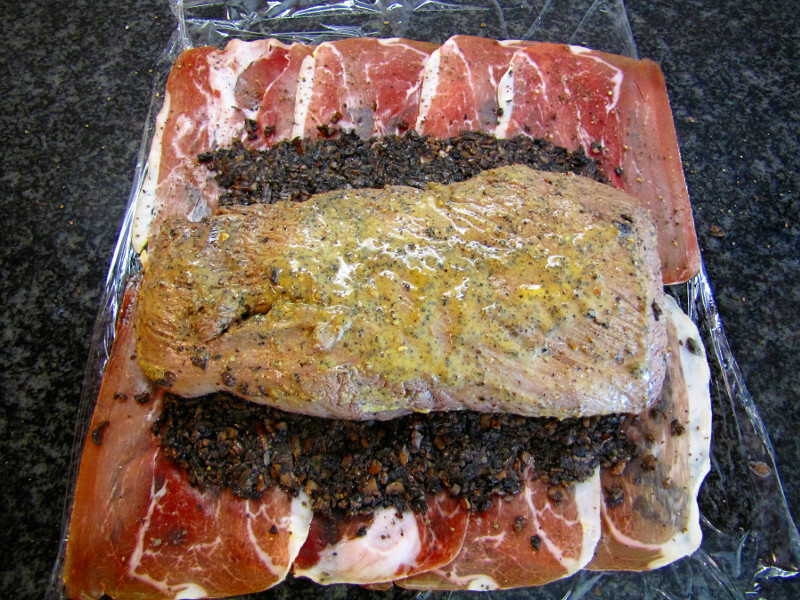 Spread the duxelle over the ham, season it with black pepper (no salt) and place the fillet on top. Roll the Parma ham over the beef with the cellophane. Keep rolling to form an evenly thick log. Chill for at least 30 minutes. Place the puff pastry on a lightly floured surface and roll into a rectangle large enough to envelop the fillet. Chill for at least 30 minutes. Remove the cellophane from the beef, wrap the pastry around it and trim. Cover with cellophane and chill for at least 30 minutes. When ready to cook, score the pastry lightly and brush with egg wash. Sprinkle with coarse salt to make it extra crispy. Place seam side down into a baking dish. Bake at 200C for 30 minutes until the pastry is golden brown. Rest for 10 minutes before carving. Unfortunately the pastry was not golden brown after 30 minutes so we had to leave it in for another 10 minutes and it ended up a bit overdone. The bottom of the pastry stuck to the baking paper. In hind sight I should have placed the Beef Wellington directly into the dish. I shall blame the wine – again. We could not taste the mustard in the dish, but the taste of the Parma ham really came through. A posset is historically an English hot drink of spiced milk curdled with wine or ale. 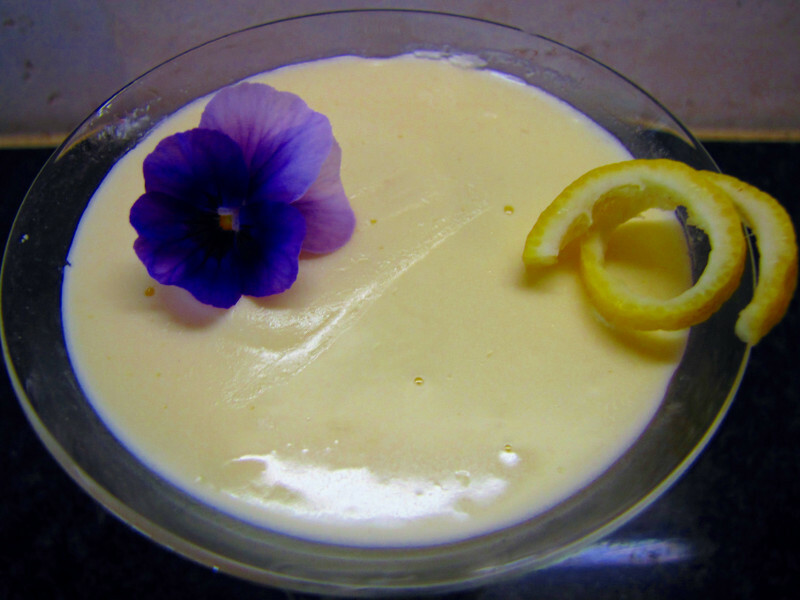 Nowadays it is a cold set dessert containing cream and lemon, although you can really use any fruit with the cream. Mix 30ml of xylitol with 250ml of cream over low heat. When the cream starts to boil cook it for a further 3 minutes, stirring constantly. Take it off the heat and mix in the juice of 1 lemon. Let it cool, spoon into dessert glasses and pop into the fridge for at least 3 hours. The cream sets due to a reaction between the acid of the lemon and the milk proteins of the cream. As a result you do not need any gelatine or other thickening agents for this dessert. This is a delicious and ridiculously easy dessert – perfect for summer. 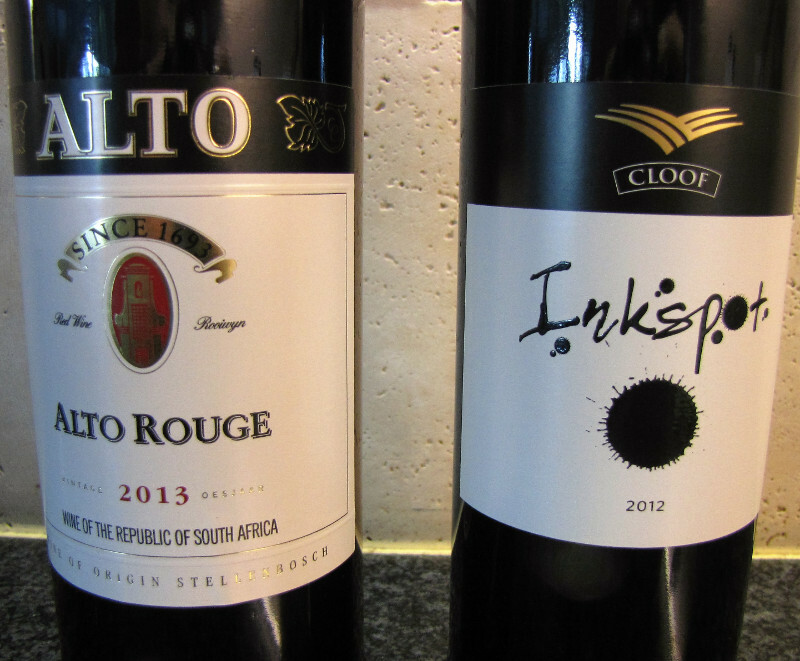 We enjoyed this with an Alto Rouge 2013 and a Cloof Inkspot 2012.